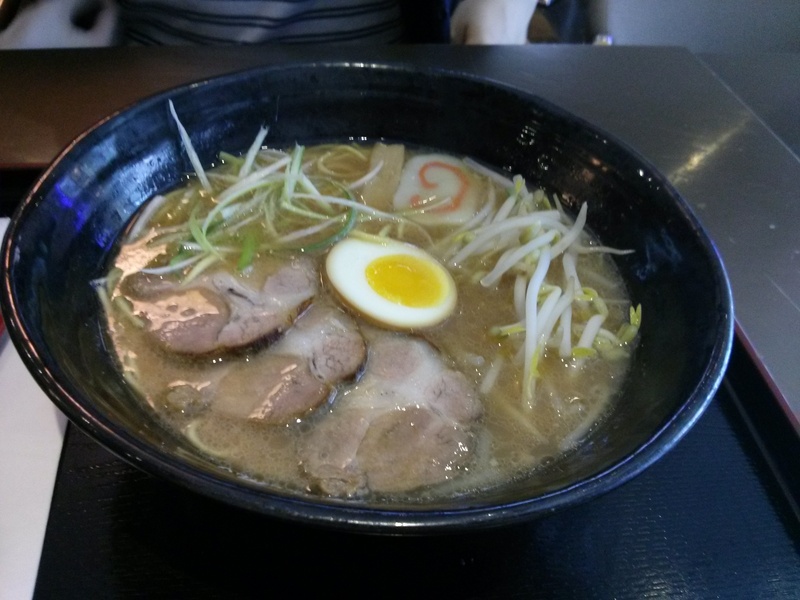 My high school friend and I decided to try Kenzo Ramen this past Monday since it’s the only ramen restaurant in the neighbourhood of Yonge Street between Shepperd Ave and Finch Ave. I had the King of Kings Ramen ($16 including tax and tip). 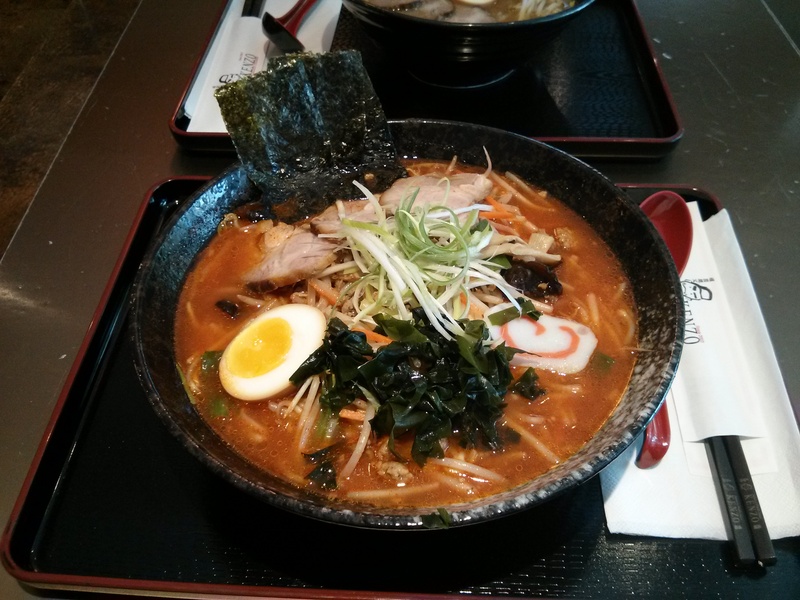 The King of Kings Ramen is spicy Sapporo style ramen with roasted pork, sliced egg, fish cake, and seaweed. It wasn’t very spicy to me however it was quite appetizing. My friend had the Tonkatsu Sho-Yu Ramen ($14 including tax and tip). The Tonkatsu Sho-yu Ramen is sho-yu (Japanese soy sauce) flavour Hakata pork bone soup ramen. She really liked it. I wasn’t amazed by Kenzo however if you’re in North York and not willing to go all the way downtown for ramen then this is a decent restaurant.